The websites kjbennett.com and inmykit.com are written and edited by Kevin James Bennett (KJB). I regularly receive products directly from cosmetic brands, cosmetic manufacturers, public relations companies, and brand marketing firms. I am regularly invited to cosmetic events/destinations to meet experts and experience new services. Products or services may be submitted or offered for editorial consideration on kjbennett.com and inmykit.com. Receipt of these products or services does not constitute a contract for a published review. All evaluations are my honest assessment. No product or service will be reviewed more favorably due to personal association. Product evaluations are based on my testing criteria, under professional working conditions. If my evaluation of a product or service is not favorable, it will not receive coverage on the pages of kjbennett.com. Articles are clearly marked when a reviewed product or service has been furnished free of charge. I do not accept sponsorship or any monetary compensation for articles or reviews. I am responsible for all content on kjbennett.com and inmykit.com, so topics and products featured are at my discretion. These sites are informational only and not a substitute for medical and/or dermatological advice. If you question any of the information provided, please seek advice from your physician. The advice on these sites are the opinion of Kevin James Bennett, and I am in no way responsible for the effects of said advice. I am not responsible for claims or statistics provided by a company in reference to their products or services. 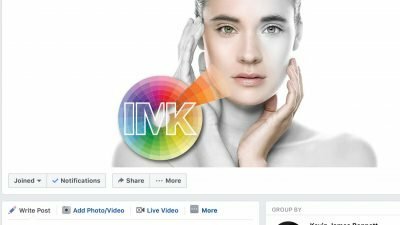 IN MY KIT® and the IMK logo are registered trademarks owned by Kevin James Bennett – Makeup Art + Design Enterprises. All content at kjbennett.com and inmykit.com is by Kevin James Bennett (KJB) and is licensed under a Creative Commons Attribution-NonCommercial-ShareAlike 4.0 International License. Permissions beyond the scope of this license may be available. For more information Contact Us Here. If I have quoted an article, website or used a picture that is yours and you do not want to be on either of these websites, contact me and it will be removed. Written content on kjbennett.com and inmykit.com is also protected by Copyscape and the Digital Millennium Copyright Act (DMCA). If you would like to quote or reproduce any content from either of my websites, please contact me for clearance.